The copper foiling technique, developed in the Tiffany Studios in the 1890s is ideal for decorative panels, sun catchers and mirror work as well as lampshades and other 3D work. 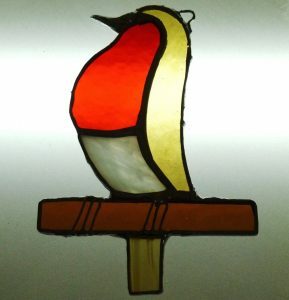 This course, led by Kate Doig, introduces students to one method of stained glass, that of copper foiling. It is suitable for beginners and intermediates. 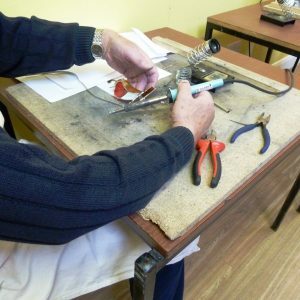 Students will learn how to create a design, cut glass accurately and safely, apply copper foil and solder their creation to produce a beautiful piece they can hang. Those with experience can design their own creation if they wish. Kate was trained at Bristol School of Art in Architectural stained glass. 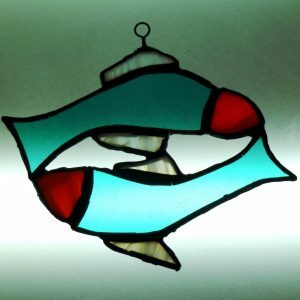 She is a qualified and experienced tutor and as well as teaching the art of stained glass, she creates traditional leaded stained glass panels at her studio, ‘Firewolf Glass’ as well as taking on restoration projects and commissions. 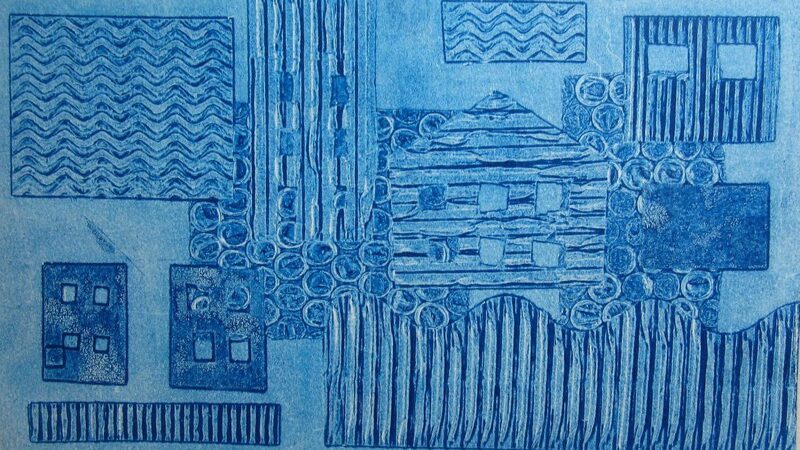 She uses paints, stains and enamels to bring her creations to life. Kate is also one of 100 glass artists worldwide featured in the book ‘Creative Glass’ (Schiffer).